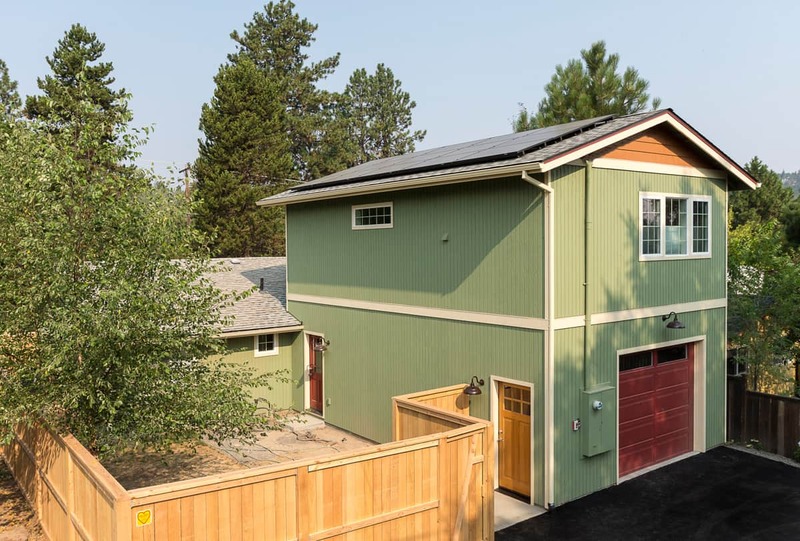 Above: A complete living space was added to the top of this garage in Bend. 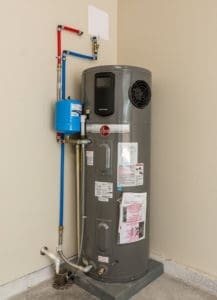 Above: A hot water heater brings comfort to the new space above the garage. Man cave. Fem den. Mother-in-law apartment. There are endless possibilities to transform your garage or utility room. While the majority of homeowners think having a garage is a requirement, many don’t use the space for vehicles. 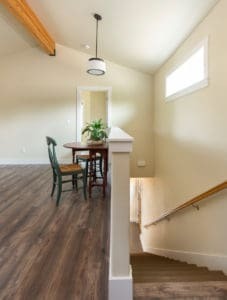 With a little creativity (and expert handyman services), you can convert your detached building or attached space into something useful for the whole family. Conditioned means that the room’s temperature can change — warmer or cooler — to make the space more comfortable. Typically, garages are unconditioned spaces, but adding insulation, ventilation, heaters and air conditioning will make the space comfortable in all seasons. Keep in mind, though: if the goal is to create a conditioned space, be prepared for a new wave of taxes. Above: A short stairway leads from the garage to the living quarters above. Once you’ve assessed your needs in the space and the potential tax implications, set a budget and ideal timeline. It’s also important to speak with your local building department and homeowners association. “Requirements are set in place to keep us safe and to keep the value of each other’s homes where it needs to be,” says Kerg. Above: The living quarters has a kitchen, bath, living room, bedroom — even a niche for stackable washer and dryer. The most common garage project involves removing the garage door and replacing it with a fixed wall. Once created, the space can be a bonus room for the family. 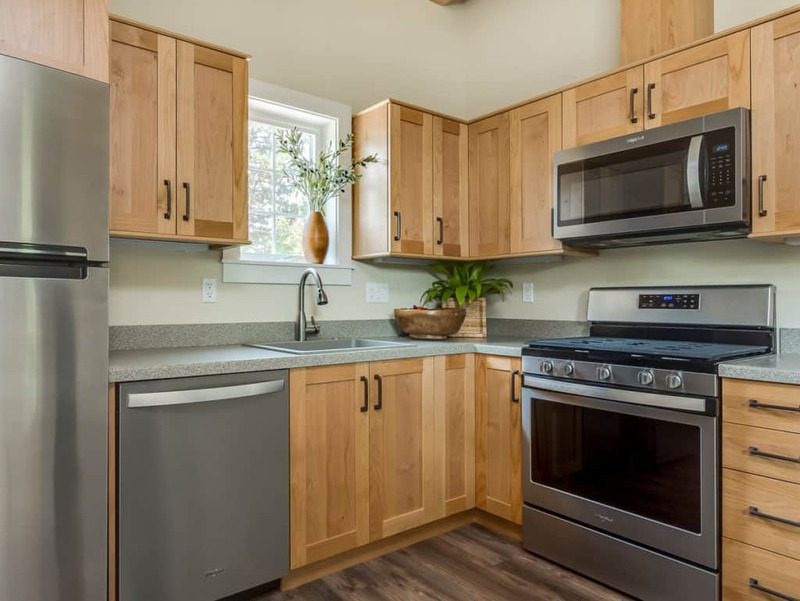 On average, these projects take 3–6 weeks to complete depending on the complexity of job, including the building permits, framing, insulation, mechanical upgrades and potentially plumbing. Indoor Garden/Sunroom — With the right lights, heating, watering system and planters you can join the farm-to-table movement from your own home. Gym — Garages offer ideal floor plans for exercise machines, free weights, yoga mats and more. Playroom — Certain games and toys are a little too rowdy for the house, which makes a converted garage the ideal place to play! Music Studio — With an extra layer of insulation and soundproofing your neighbors don’t have to hear band practice until you’re ready to throw a concert. Guest House — Go beyond an extra bedroom by giving your guests their own small bath and kitchenette with the right plumbing and fixtures. Media Room / Home Theater — Free your living room from clutter by moving the media center, including the video games, record player and more, into a comfy media lounge. Home Office / Workspace — Make space for your paperwork and your next big idea with a truly secluded, yet inspirational space. Create your perfect space today with our Handyman Services team. Our skilled carpenters and tradesfolk will work wonders on your next home repair, replacement or refinishing job.